Note: While review will be spoiler free, it does make reference to events in the Chicagoland Vampires series. If you haven’t started yet, check out VBC’s review of Some Girls Bite. When we last saw Elisa Sullivan in the epilogue of Blade Bound, she was a toddler. Now she’s twenty three and a recent college graduate living in Paris. Wild Hunger brings her back home to Chicago for a vampire peace conference. She’ll be reunited with her parents, her childhood friends, and the “monster” inside her which she says comes from the magic that allowed her to be born. Being close to her mother’s katana, which imprisoned that magic, makes it stronger. Connor Keene, son of the shifter pack Alpha, is the only one who has ever seen Elisa’s monster. So he’s the only the only one she trusts to help her now. (This reminds me of when Merit and her inner vampire were at odds in the early Chicagoland Vampires books, and I can’t help but wonder if the solution to the problem will be similar.) The pack is also in charge of security for the conference so when Elisa starts investigating the murder of one of the delegates, Connor is an obvious choice to assist. I think I expected to fall right back in to the familiar feel of the Chicagoland series, but that’s not exactly what happened. Elisa is more serious than Merit—more angst, less snark—and the book feels heavier in tone because of it. Connor’s also quite different from Ethan in some ways—leather and denim and motorcycles rather than Armani suits and high end sports cars. Though they have similar alpha attitudes. We get updates on some of theChicagoland characters, though many of them are just mentioned and don’t appear. The story focuses more on the next generation of characters. I like the new Ombuddies, especially Theo who Elisa teams up with. I also like the BFF vibe she has with Lulu, Mallory and Catcher’s daughter. But I wish that Neill had written something else first and come back to this idea a few years from now. 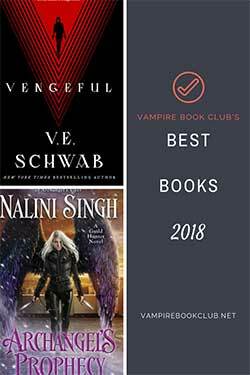 That’s partly because I would have liked some novellas about the supporting characters in Chicagoland Vampires—the Ombuddies, Merit’s necromancer friend, the FBI agent introduced at the end of the series. But mostly it’s just that I’m not I’m not a fan of time jumps in general, and I thought this one could have been executed better. Wild Hunger is set about twenty years from now. They have flexible silicone “screens” instead of phones and they’ve finally perfected self-diving cars. The future tech is interesting, but feels inconsistent. Connor can pay for dinner by tapping his key fob on the table, but Elisa’s favorite coffee shop is cash only? And Elisa’s pop culture references feel dated even by today’s standards (Do twenty-somethings still make Seinfeld references?) though I guess it’s comforting to know that people will still be sorting themselves into Hogwarts houses twenty years from now. 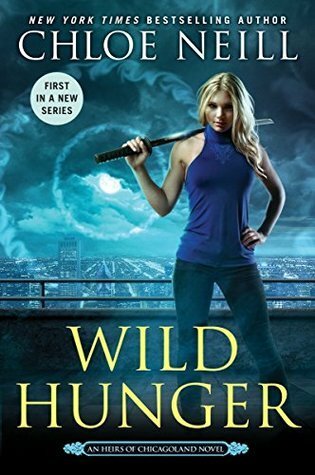 Which is not to say that I didn’t like Wild Hunger or Elisa. I just think I may have some growing pains with the new series, which is not uncommon. I found myself taking a lot of notes, trying to dig out every little detail of backstory, which may have been distracting. 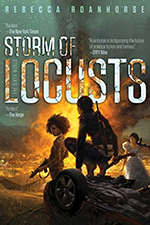 But I have always wanted to learn more about Neill’s shifters and this series might do that. We get bits of Connor’s POV in the prologue and epilogue. I’m definitely excited to see where the Heirs of Chicagoland series goes.